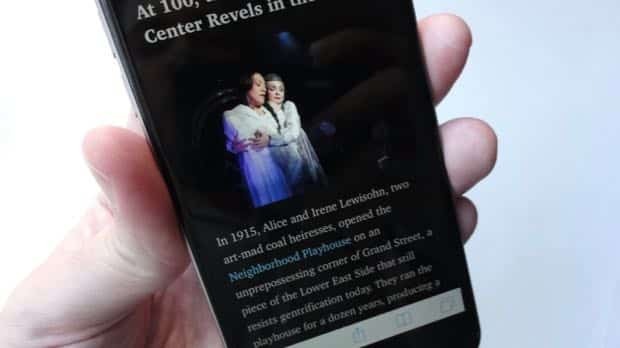 Until very recently, the easy-on-the-eyes Safari reader mode for iPhone and iPad—you know, the feature that strips all the clutter from articles on the web—was painfully basic. Once you turned on Safari reader mode (which you can do by tapping the three-line button on the left side of the address bar), the only customization option available was zooming or shrinking the font size. If you wanted a different font or a new background color, you were out of luck. 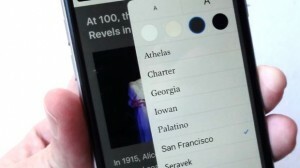 Thanks to its new customization options, Safari’s “reader” mode just got a lot more reader-friendly. But now that iOS 9 is here (and yes, I think it’s safe to say you can upgrade now), Safari reader mode has gotten a lot more … well, reader-friendly. Once you make the leap to the new iOS and tap the reader mode button, you’ll see a series of new customization options. You can also choose from four backgrounds: white, off-white, gray and black. Personally, I’m thrilled that a black background is finally available, meaning it’ll be easier to read the web at night without bothering my snoozing wife. Keep in mind that Safari’s reader mode button is available on most web articles, but not all; in some cases, the button won’t appear on certain mobile-optimized pages.